Status: offline This campaign requires Sololovo DLC. 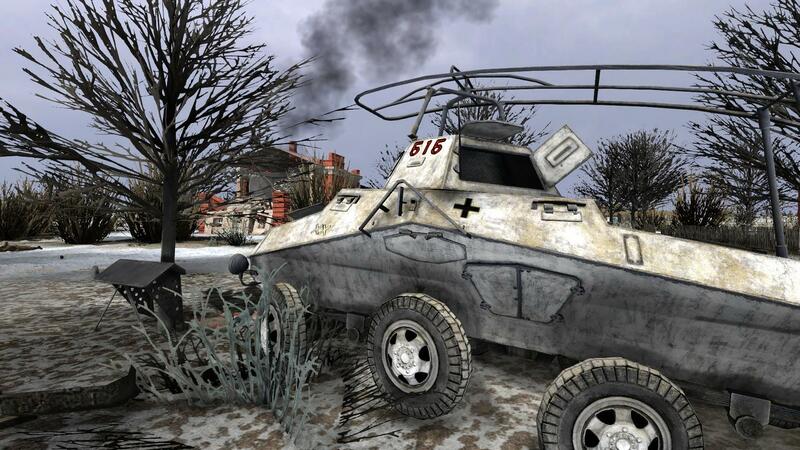 Play as Czech and Red Army against the heavily mechanized German forces. 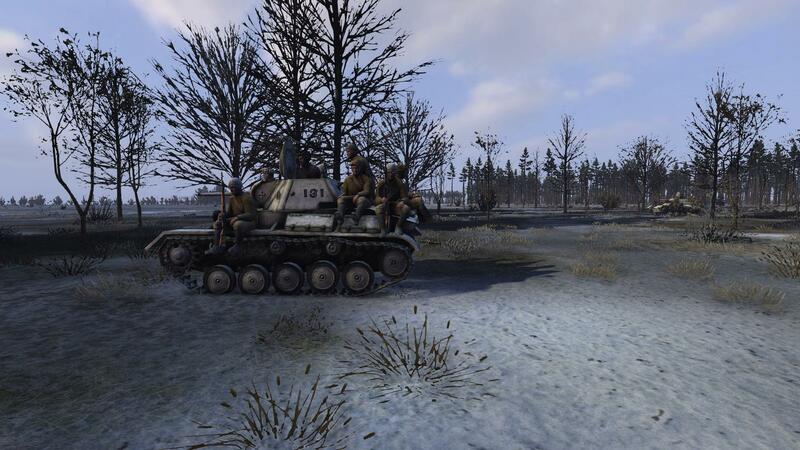 German and Red Army forces in the area where checked and balanced against the fun factor. Your primary mission is to prevent crossing of the Mzha River. The town of Sokolovo makes an excellent road block in this sector. German forces can not easily make a crossing with this town occupied by Czech forces. Ok so its the same as the released Sokolovo DLC. That one I found to be a nearly impossible ball buster. Historically the Czechs pulled out of Sokolovo when it became clear it could not hold. However they did this after giving a bloody nose to the Germans. This bought time for more Red Army troops to take up defensive positions to the west and east of the town. That bloody nose meant that there where fewer forces around to fight their way to the other side. Historically the Germans never crossed the river here. The campaign aim is to allow that out come to occur. With the released Sokolovo campaign I was down to 3 or 4 squares in the upper right corner of the map when 15 turns where up. This uses a slightly modified force structure with less medium German tanks in the 1st attacks on Sokolovo. I have NO idea what the Czech's got hit with historically. I only know the initial attack was a recon in force. I hope I guessed more or less right. Also the flow of the campaign is totally new from the DLC. Of course in GTOS you only suggest. In fact my 2nd play through the ai did something totally I did not expect. :P It was not historical either. LOL. But honestly a better idea than what actually happened. Pay attention to the text in game. Its pretty much recycled from the DLC. 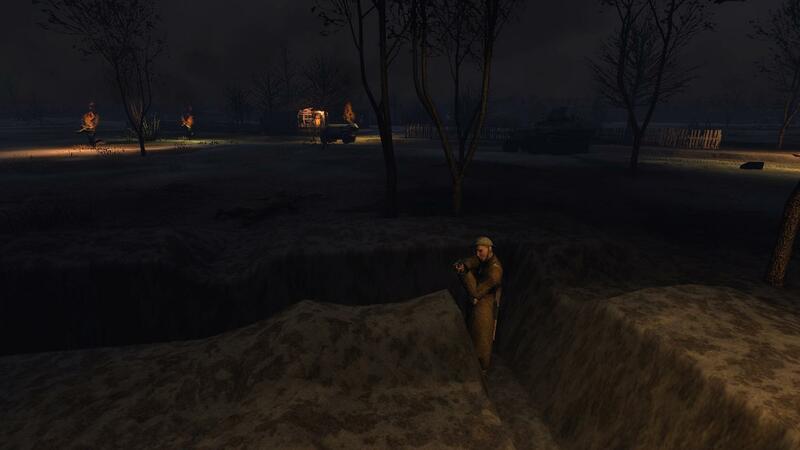 But when it says pop smoke from Sokolovo like Colonel Svoboda ordered.. Best try and brake contact to the other side of the river. Hopefully the ai will not make it to hard on ya. But I have only played this guy making moves like the Czech's did. And it largely has worked for my play thru. Read me in zip in how to install. requires sokolovo dlc. Slightly corrected version. i left some stuff in the div pool I was goofing around with....not suppose to be in campaign. And 1 last minute change that DID not work as intended. If you find yourself being strafed by FW190's in the 1st turns.... re-download corrected above! OOPS. While I found this campaign a bit easier than the default DLC from Gravi. It is by NO means a cake walk. Got to play it safe. Remember..... your defending. Pick areas to defend that force the enemy to channel into you awaiting forces. The major flag areas I made pretty big in the town. To give the player more options to pick a good defensive location. Dont stick antitank or field guns in the front of your defenses... Stick them behind your infantry if you can. Open up with an ambush using infantry if you can help it. Then let your anti tank/field guns/machine guns go at it. Much more likely those critical units survive that way. The Czech infantry only have KS bottles to deal with tanks and armor. Great for halftracks.. Not so good for tanks. Your Russian infantry on the flanks have both KS and rkg40 anti tank grenades. Slightly better to fight a tank but not great. On the other hand the Czechs have a slight edge on rifle fire power. That is a lot of svt40's. Never do what I keep doing and placing engineers with satchel charges in buildings. They are not so great at clearing the area. I keep blowing up half the squad with those things. But your best bet with light or medium armor in a close in fight. Many changes....to many to remember from beta 1. Now has a less lame operation graphic that spent more than 45 seconds on. Should have awful Russian language support thanks to google translate. Read me contains install and other instructions.